E! 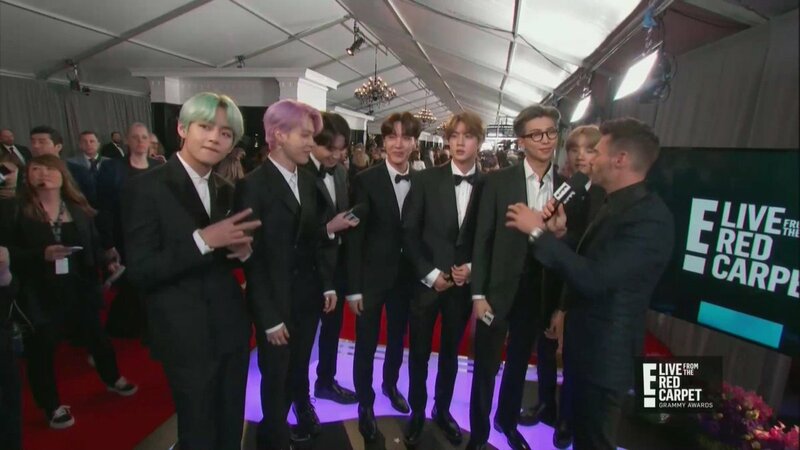 News's tweet - "#BTS IS HERE. 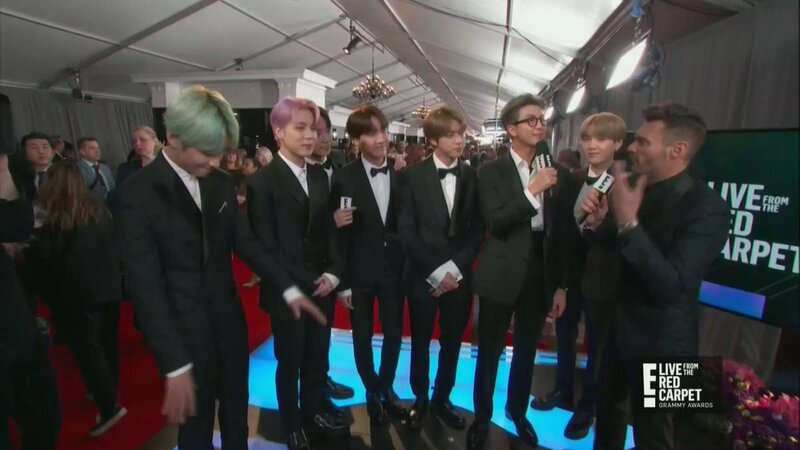 #GRAMMYs "
AND WE’RE HERE FOR THEM! Thanks for your work guys! Jimin said "you know what let's surprise Army a little guys I want to change my hair color last minute." That’s my boy in a bow tie! u’all seeing this...... ??? ..